NPR’s recently reported on a somewhat baffling conundrum in the economic world: productivity, which had been consistently growing at an impressive clip since the dawn of the internet age, has now virtually stagnated over the past 5 years. Though analysis of such macro-economic trends may cause some to yawn, the truth is that these statistics have a real impact on real-life small businesses across the country. 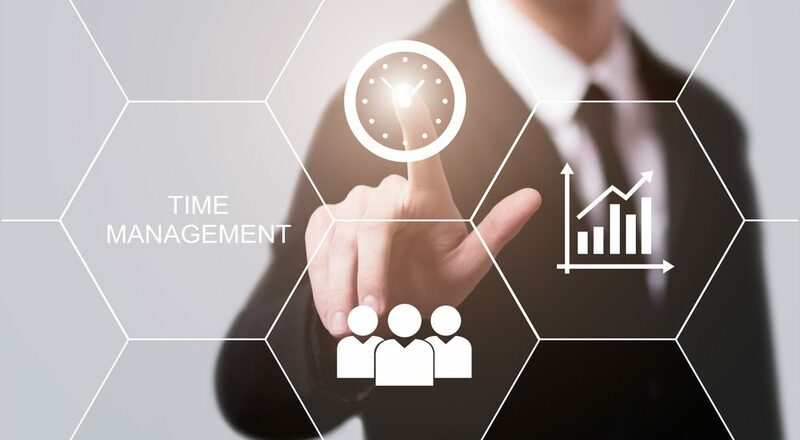 Employee productivity is a crucial factor that can make or break a company–and this is especially true for small businesses, who frequently have few employees and few financial resources to add to their staffs. Is it really possible that on-the-job use of social media is so much of an issue that it is affecting the nationwide growth of productivity? The idea may seem far-fetched as first, but when a few key statistics are taken into account, the possibility seems feasible. For example, the average social media user now spends roughly 3 hours browsing social media each and every day. Moreover, 30% of Americans admit to using social media for at least on the job each day. Although occasional moments of downtime will occur in virtually any job environment, the sheer amount of time that many people spend connected to social media is enough to make the use of social media during important moments of the job a near mathematical inevitability. Though some employers may allow the selective use of social media during company hours, many (if not most) employees take advantage of this stated or implied leniency. If some experts are to be believed, it is these indiscretions that are affecting productivity and putting both small businesses and the economy as a whole in danger. The unfortunate irony of this situation is that social media is one of the most important and helpful tools to arise for business (and, particularly, for small business) in the last century. It allows businesses to market themselves cheaply and effectively while being easily accessible to potential customers and clients. At the same time, it facilitates customer feedback and allows companies a unique opportunity to listen to (and adapt to) the ever-growing, ever-changing needs of its customers. In short, the benefits of social media certainly outweigh the potential downside. (There has even been an interesting case posited for allowing and encouraging personal social media use on the job, albeit with a few reasonable limitations.) The key for small businesses lies in the successful management and allotment of time and energy. For example, studies have shown that a significant portion of small business owners spend an average of six hours per week managing their company’s social media pages. Even if we were going to calculate a 60 hour work week (which, as small business owners everywhere can tell you, is all too common) that would come out to a whopping 10% of all work completed. For most small business owners, dedicating such a substantial amount of time to social media yet also maintaining top-level productivity (and, just as importantly, ensuring that all employees also maintain top-level productivity) can be nearly impossible. Company culture originates at the top, and if small business owners allow social media use (even professional social media use) to cut into their own productivity, it is likely that the problem will become company-wide. How, then, can business owners cut down on the productivity loss associated with excessive social media time without compromising the undeniable benefits that a well-managed social media campaign can offer? For some, a professional social media management program such as Hootsuite or Buffer can provide the productivity boost that they need. Larger companies may even wish to add a social media and online marketing specialist to the payroll. For countless other businesses, a virtual social media assistant is the perfect cost-effective alternative to adding full-time staff. Outsourcing your social media management to experts can allow you to optimize your social media impact and increase your own productivity at the same time. To learn more about this compelling option, visit FrogMan Media Group online today.